Dave, Tudor and Fiona convened at Kew at 8.30am on Sat 8th September. We loaded up and then launched from Burpham (near Guildford) ~10.30am along river Wey & Wey navigation and then joined the river Thames at Shepperton. In total we did 12 portages before landing at Kew, and got very efficient at doing them! 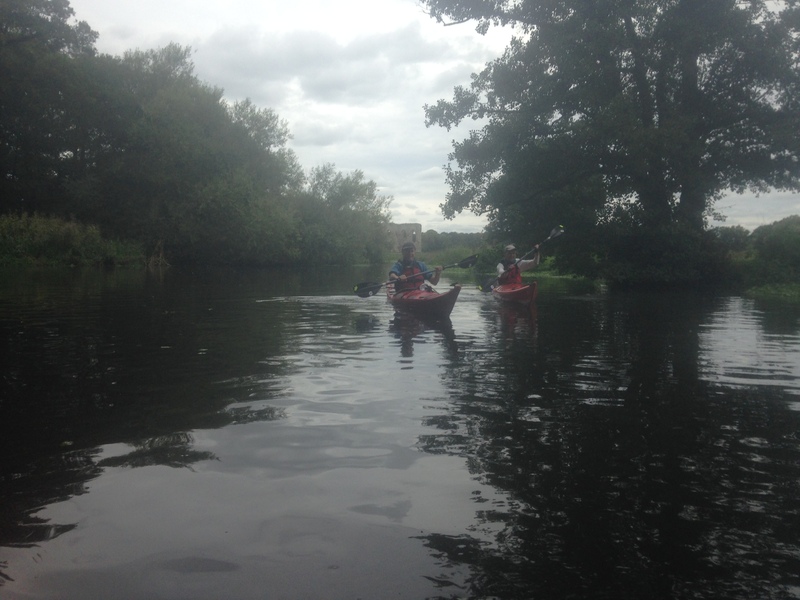 As Dave had mentioned in his briefing email there was nothing difficult on any part of the trip, just that it would be several hours of paddling with the benefits of river flow, wind and tide assisting us along the way. Four years ago when Dave previously ran the trip there was stronger river flow to assist the journey, but due to the lack of rain this year, we received little if any fluvial flow. So we landed thoroughly exhausted & pleased with our 30mile paddling achievement at Kew at 8.30pm. The trip goes past beautiful countryside, including a ruined priory, private gardens, narrow boats with their beautiful paintwork, moored boats, mansions, various club buildings for watersports. The river Wey has some narrow sections which feel very rural and remote, before widening and reducing again. In comparison the Thames feels bigger and “grander” with a constant stream of walkers enjoying the Thames path.